Jaden, 12, of Marion, Ohio, knew he was lost—orphaned, in a sense—and he needed somewhere to turn. So, he picked up the phone. 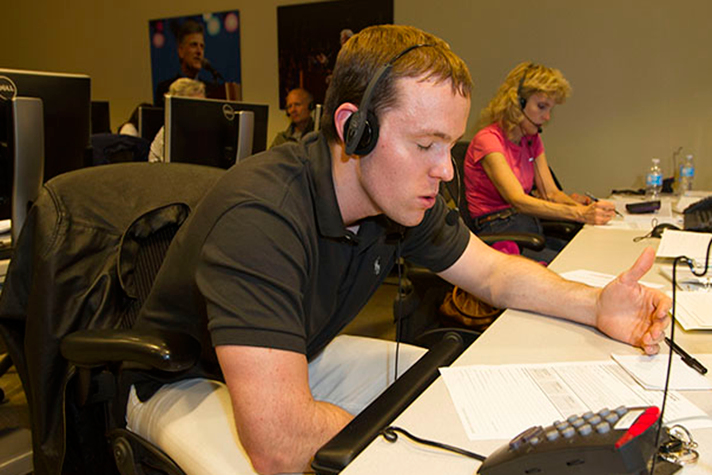 He had just watched the My Hope program “The Cross,” and dialed the Billy Graham Evangelistic Association call center, where volunteers donate their time to answer the calls from people searching for spiritual answers. At that moment, Judy knew God had ordained her to be at the call center for Jaden. After she talked through the Gospel with Jaden, it became clear that he thoroughly understood what Jesus did for Him. He prayed, trusting Christ as his Savior. “This broke my heart,” said Judy. The Holy Spirit prompted Judy to share Psalm 27:10, which promises that God cares for us, even in the absence of our parents.